Christine Lagarde called on parliament to stop the bureau's harassment. Director of the International Monetary Fund Christine Lagarde urges the Ukrainian authorities and parliament to ensure the independence of the National Anti-Corruption Bureau and the Specialized Anti-Corruption Prosecutor's Office. "We are deeply concerned by recent events in Ukraine that could roll back progress that has been made in setting up independent institutions to tackle high-level corruption, including the National Anticorruption Bureau of Ukraine (NABU) and the Special Anticorruption Prosecutor’s Office (SAPO). 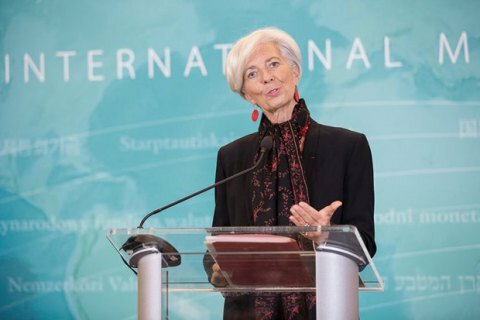 Fighting corruption is a key demand of the Ukrainian society, is crucial to achieving stronger and equitable growth, and is part of the government’s commitment under the program with the IMF," reads Lagarde's 6 December statement posted on the website of the IMF. "We urge the Ukrainian authorities and parliament to safeguard the independence of NABU and SAPO. We also urge the authorities to move quickly with legislation to operationalize an independent anticorruption court consistent with the recommendations of the Venice Commission of the Council of Europe, which is essential to credibly adjudicate high-level corruption cases."